The right-wing coalition parties of Kosovo are leaders in the municipal elections, which took place on 22ndof October 2017 in 38 municipalities. However, in 19 municipalities, run-off elections are still needed because there was no clear decision. The date was set for 19th of November. 1.89 million people were eligible to vote, the voters-turnout was 43.79 percent. A right-wing party not in government, the Democratic League of Kosovo, or LDK, is leading in 10 town halls. The Serb (Srpska) List has declared victory in all 9 out of 10 Serb municipalities. 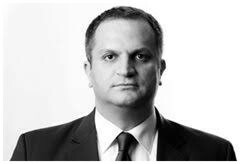 Its leader and candidate for mayor of northern Kosovska Mitrovica, Goran Rakić, has won convincingly with 80 percent. In 90 percent of the districts in capital Pristina, incumbent Mayor Shpend Ahmeti of the Self-Determination Party, also known as the Vetevendosje movement (VV), has won 43.42 percent of the vote, but not enough to avoid a runoff. International observers said that the voting process took place without any major irregularities.